When it's windy and there's no reflection, the lake's surface is a large, uninteresting mass. You'll want to minimize the lake, so step back and include some foreground. Also, look for a sheltered, less windy inlet. 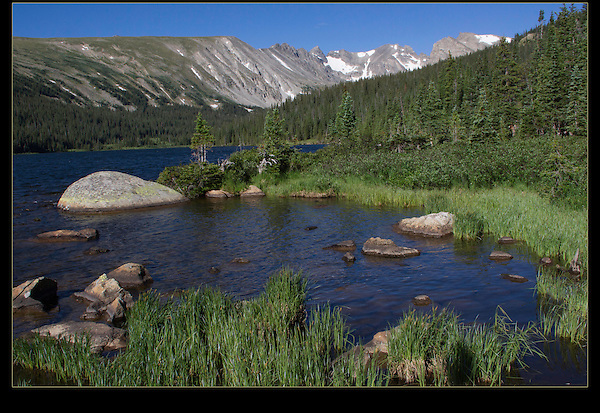 Long Lake in Indian Peaks Wilderness, west of Boulder. Outside Imagery offers Indian Peak photo tours and hikes, all-year. Colorado tours by Outside Imagery.